I'm finding these last days of summer to be terribly bittersweet. The nights have been hinting at the winter to come while the days are what my mom-in-law calls "9/11 weather" - the same crisp, warm air and brilliantly blue skies as the day the towers came down. There's nostalgia in the air. Lest you think I'm some sort of enlightened being, let me disabuse you of the notion right quick. I'm still spending an awful lot of time dwelling on the past and obsessing about the future as well as diddling my life away on Facebook but it feels like a step in the right direction. 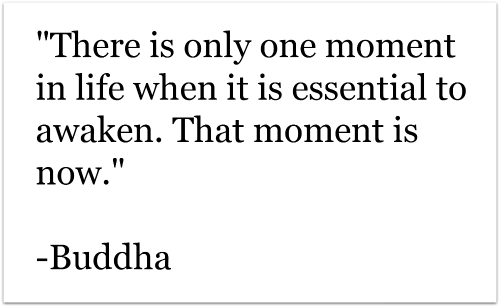 Apparently, Buddha said something to the effect of, "There is only one moment in life when it is essential to awaken. That moment is now." Them's definitely words to live by. 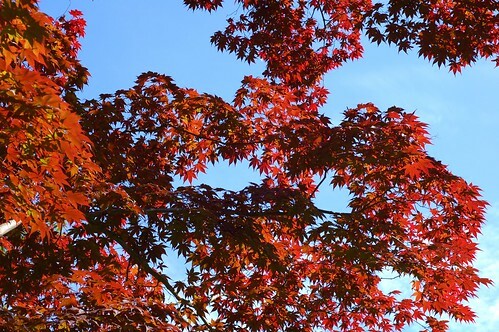 Here's to greeting the fall wide awake to both the beauty and the sadness of life. I just read your recent entry as recommended by your "mom-in-law's" FB status. I don't think you have been wasting time on FB ( I find a huge potential for inner growth and awareness waiting to be discovered there daily.) It sounds to me like you are a wise old owl inside your young mom life. I can totally relate to the nostalgia of time passing, especially in the autumn and most especially as you watch time take leaps with your kids. Time not only passes, it catches up! I am now watching my grandchildren start school with the same bittersweet feelings. But as you are already aware...the moment ...now...is where life is happening and love is found. Keep doing what you're doing because you're doing great! Lauriexo. PS. Now, to check out the recipes!